On March 26, 2019, Federal Trade Commission Chairman Joe Simons spoke before the Free State Foundation about how the FTC’s two missions -- competition and consumer protection -- apply to the internet ecosystem. Chairman Simon’s remarks help us understand the FTC’s ability to protect consumers online since the Federal Communications Commission repealed net neutrality rules and abdicated its role as what some have called the internet's “cop on the beat.” Simons says: The FTC can handle net neutrality just fine. The FCC’s December 2017 Restoring Internet Freedom Order transferred the authority to police broadband internet access service (BIAS) from the FCC to the FTC when the order reclassified BIAS as an information -- rather than telecommunications -- service. 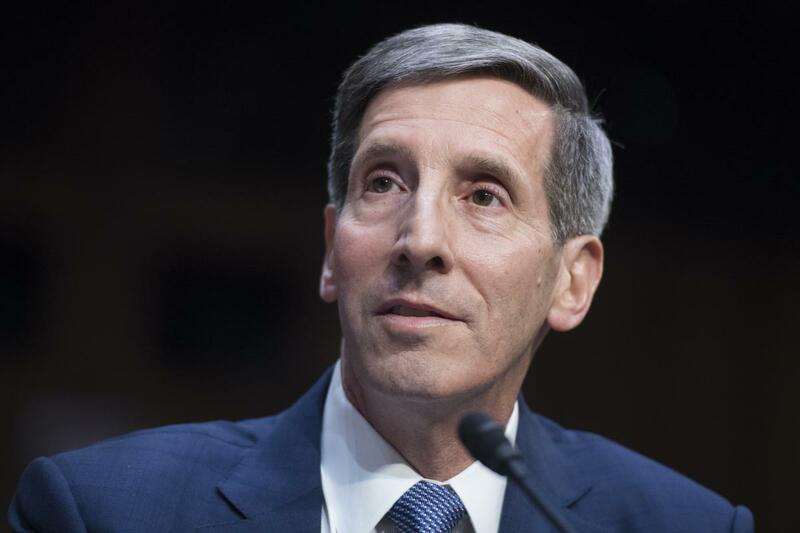 “By returning broadband service to its original classification as an information service, the Order returned antitrust and consumer protection jurisdiction to the FTC,” said Chairman Simons in his recent speech. Chairman Simon acknowledges that there are “key differences between conduct prohibited by the FCC’s Open Internet Order, and conduct that the FTC can reach now with our antitrust and consumer protection jurisdiction.” But, he says, "I intend to use [FTC] authority aggressivley to address violations of the laws we enforce." So, despite these "key differences," the question remains: is there an adequate "cop on the beat" to police misconduct by BIAS providers? Simons says yes. Behavior prohibited on a per se (latin for "in and of itself" or "inherently") basis in the context of antitrust enforcement means rules enforced because the behaviors are so manifestly anticompetitve that they are illegal without looking into their specific economic effects. But Chairman Simons says that blocking, throttling, or paid prioritization would not be per se antitrust violations under the FTC. Why? Because paid prioritization is a type of price discrimination which is “ubiquitous in the economy.” Chairman Simons notes that coupons, senior discounts, credit card rewards, movie matinees, and happy hour discounts are all forms of price discrimination but are permissible under antitrust law because they have a benign effect on consumers and competition. Beyond going after anticompetitive behavior, Chairman Simons says the FTC can prosecute unfair or deceptive acts or practices. With respect to deceptive practices, the FTC is concerned about conduct that is likely to mislead reasonable consumers. He says the FTC has a strong interest in ensuring that companies stand by their promises to consumers. For example, the FTC could take action against broadband internet access service providers if they block applications without adequately disclosing those practices or mislead consumers about what applications they block or how. [W]e would first evaluate what claims an ISP made to consumers about their services, and how those claims are supported. We would look closely at any relevant research and evaluate the study’s design, scope, and results, and consider how a study relates to a particular claim. To evaluate whether a practice was unfair, we would consider whether the alleged throttling had countervailing benefits, and whether there were reasonable steps consumers could have taken to avoid it. We would also consider consumer injury, the number of consumers affected, and the need to prevent future misconduct. By alleging that broadband service providers caused substantial consumer injury, the FTC can investigate privacy and security practices. Indeed, the FTC recently announced it is using its authority under section 6(b) of the FTC Act to study privacy practices. Despite the fact that we are using all the tools Congress has given us, I note that we could use additional authority in the privacy and data security area. I have urged Congress to enact legislation that would give the FTC three tools: (1) the authority to seek civil penalties for initial privacy and data security violations, which would create an important deterrent effect; (2) targeted [Administrative Procedure Act] rulemaking authority that would allow the FTC to keep up with technological developments; and (3) jurisdiction over nonprofits and common carriers. The process of enacting federal privacy legislation will involve difficult policy tradeoffs that I believe are appropriately left to Congress. Regardless of what Congress chooses to enact, I commit to using our extensive expertise and experience to enforce any new legislation vigorously and enthusiastically. Supplementing the FTC’s enforcement work, Chairman Simons acknowledges the agency engages in research and policymaking efforts to keep up with privacy developments. In addition to the aforementioned section 6(b) study, Chairman Simons notes that the FTC will continue to hold hearings focused on these subjects. And, in February, the FTC launched a Technology Task Force, a team of antitrust attorneys and a Technology Fellow charged with monitoring competition in U.S. technology markets, including the internet ecosystem. Simons is correct that a case-by-case investigation of broadband provider practices is preferable to per se rules, which can be over- and underinclusive and could prevent new products and services that benefit consumers from reaching the market because of a fear of abuse. As with most government action, prohibitions should be fact-based and turn on actual or likely effects rather than agency speculation. Moreover, the chairman’s remarks highlight the value of placing this authority in the hands of a general antitrust authority rather than a sector-specific regulator. The FTC’s determination about alleged misconduct can be informed by its experience with similar conduct elsewhere in the economy, giving it a more holistic view that is less likely to be affected by the tunnel vision that a sector-specific authority may inadvertently develop. But some in the public interest community believe that Chairman Simon’s speech does not assuage concerns of a possible “regulatory gap” between the FCC and FTC. Antitrust law is also not designed to “affirmatively promote competition rather than simply protect competition,” Feld says. The result, he says, is that the FTC lacks the FCC's authority to effectively outlaw blocking or throttling. [For more, see Feld’s article: No, the FTC CANNOT Have A Ban On All ISP Blocking.] “There is utterly no way under the FTC’s existing statute that the FTC could prevent all ISP blocking the way the 2015 rules do now,” he wrote. “Claims to the contrary are -- bluntly -- big fat lies." Chairman Simons admits that enforcement of certain components of net neutrality will be different under the FTC. Still, he claims that the FTC can adequately protect users from anticompetitive and unfair or deceptive conduct by existing antitrust law, FTC consumer protection prosecution, privacy investigations, and FTC policymaking efforts. Nonetheless, some are still concerned that online consumers are unprotected from net neutrality violations in the aftermath of Chairman Pai’s order. You can follow along with net neutrality rules and other broadband policy news by subscribing to Headlines. An amended version of the Save the Internet Act (HR 1644) was approved by the House Commerce Committee on a party-line vote. It now heads to the full House of Representatives. The all-day markup was extended by a series of protracted roll call votes on a host of amendments floated by Republicans and shot down by the Democratic majority. Net neutrality activists had warned that Republicans would try to pepper the bill with amendments and that prediction proved out. Democrats were offering up a bill that Republicans advised, and some Democrats conceded, would almost certainly not pass the Senate, while Republicans were offering up amendments they knew Democrats would not approve. You can read more about the act in our March 29 Weekly Digest.